Travel blogs, especially new ones, don’t need to scramble for that added visibility. The Chatwing chat widget is now ready to help travel blogs achieve the visibility they need. Chatwing provides 100% real-time chat experience to customers. Travel blogs are common occurrences today. In fact, they are already as common as food blogs and hobby blogs. It is crucial for a travel blog to have a moderate to high visibility. To do this, the travel blog must reach its target audience effectively. Chatwing, a newly-released free chat widget, operates under this premise. The widget helps a blog achieve enough visibility by providing real-time chat. 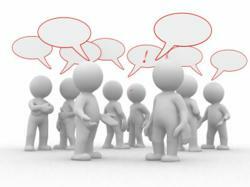 There are many free chat widgets that can be installed in blogs today. However, only a small percentage of them are truly useful. Some even require extended fees to unlock other services. This may be a nuisance for new bloggers who are looking for inexpensive marketing ways. The Chatwing widget is one of these useful applications. Chatwing has very simple mechanics and it is also compatible for all blog types as long as they accept HTML codes. To install Chatwing, the user must first register the domain name of his blog. Then, he can now set up an account that will serve as dashboard for all of the widgets he is planning to install. Following that, he can now proceed to widget customization. The user can adjust the height and width of the widget. He can also pick colors and hues. Renaming the widget is also an option—if there is no name provided, a random string will be generated. The last step is the actual embedding of the Chatwing shoutbox. The user can embed it using an HTML code provided by Chatwing. After installation, the shoutbox will usually go live in under a minute or less. According to a collective study, Chatwing widgets go live in under ten seconds, depending on the speed of connection. Chatwing is useful for travel blogs because, in a way, it provides an extended customer service for visitors and clients. Through the chat box, people can post their inquiries and they will be answered by the blog owner in just seconds. That is the connectivity needed for any travel blog to prosper.